Notes: The ruins of Manorhamilton Castle has recently been impressively renovated transforming it into a fascinating tourist attraction. The Castle was erected in 1634 by Sir Frederick Hamilton who was granted land in North Leitrim by the English government. The land had been confiscated from the O'Rourkes, the ruling clan of Breifne. Hamilton was a very unpopular overlord and faced frequent native rebellion before the Castle was burned by the Earls of Clanrickard (Burkes) in 1652. 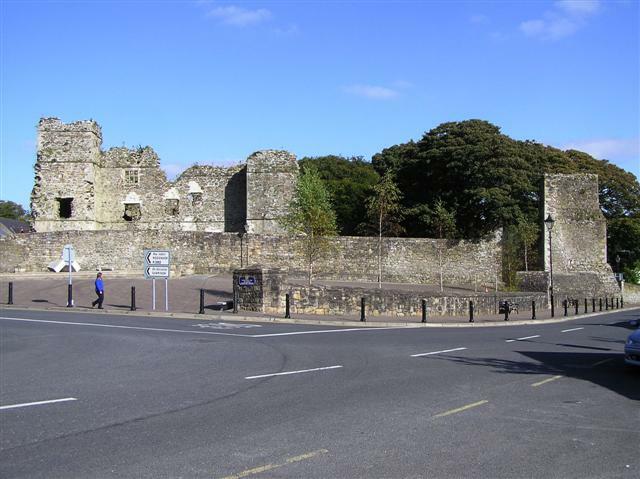 Manorhamilton Castle Heritage Centre hosts a permanent exhibition and offers guided tours of the Castle ruins and grounds.